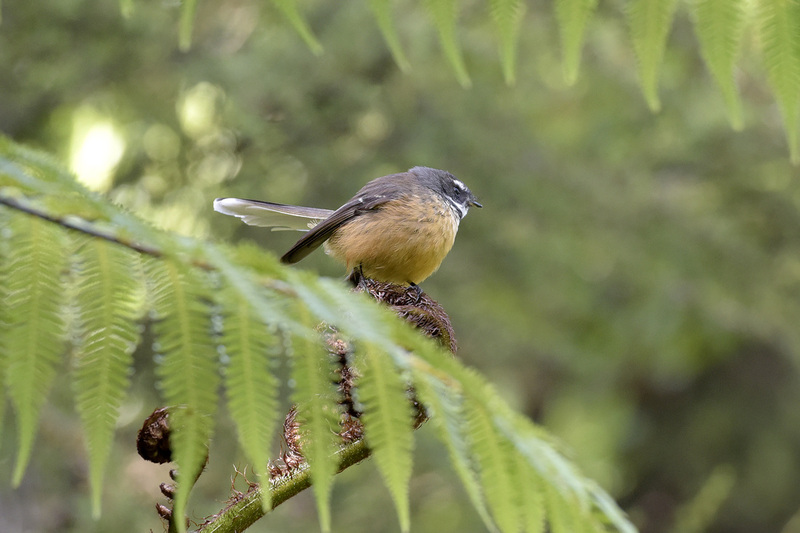 ​Korimako form a significant part of the dawn chorus, with songs that vary greatly from one place to another. 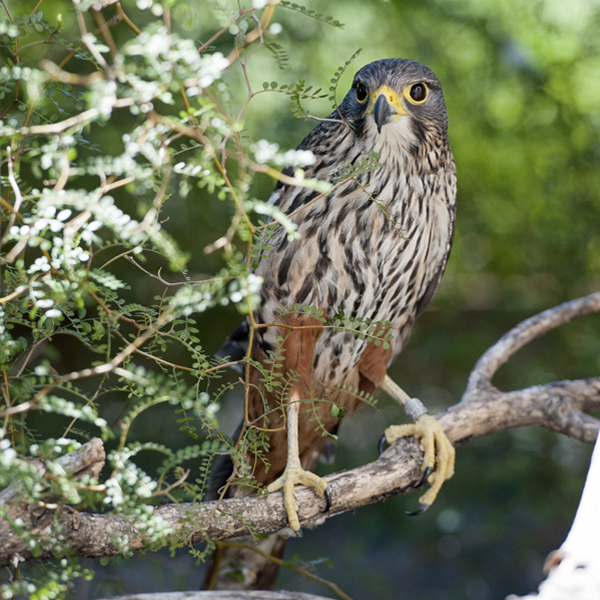 They play an important role in pollinating native trees and as seed dispersers. 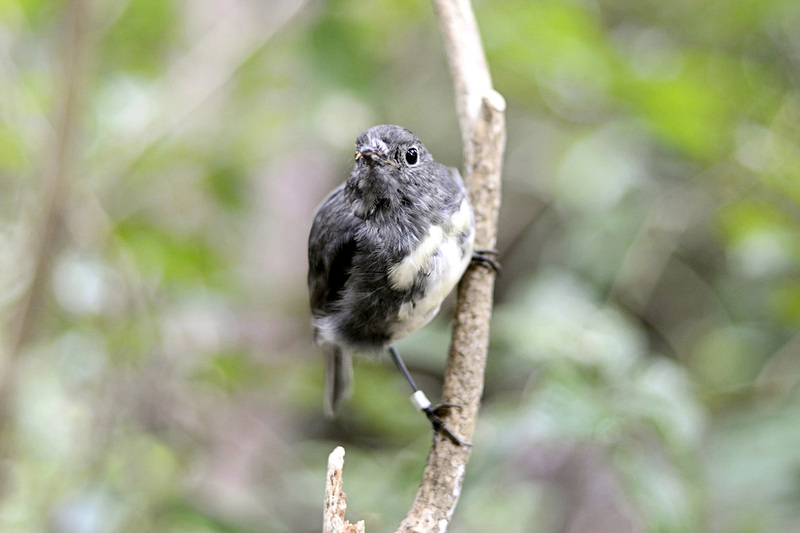 ​Often seen flitting from one branch to another, they chase insects disturbed as people walk around the Sanctuary. Piwakawaka play a large role in Maori mythology. 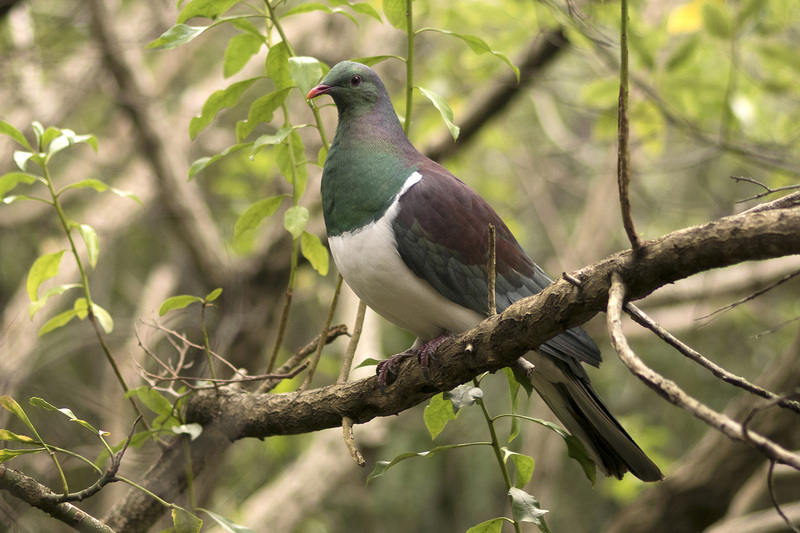 he largest living pigeon species, kererū play an important role in regeneration of native forests by dispersing seeds of miro, tawa and pūriri. Friendly and trusting, this small songbird often comes within metres of humans while foraging the forest floor for invertebrates. South Island robin were translocated onto to the Sanctuary in March 2016. ​Considered the rarest kiwi in the world, Rowi kiwi are greyish in colour, often with white patches on their faces. 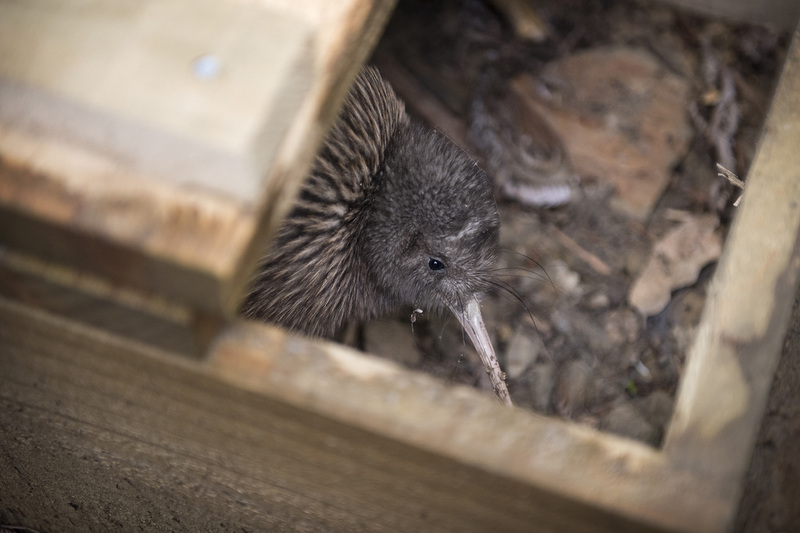 Kaipupu Point Sounds Wildlife Sanctuary has been used as a creche site for Rowi kiwi since April 2016. Tui are known for their beautiful melodies and the ability to mimic sounds. This nectar feeder has two voice boxes allowing it to produce a wide range of calls. 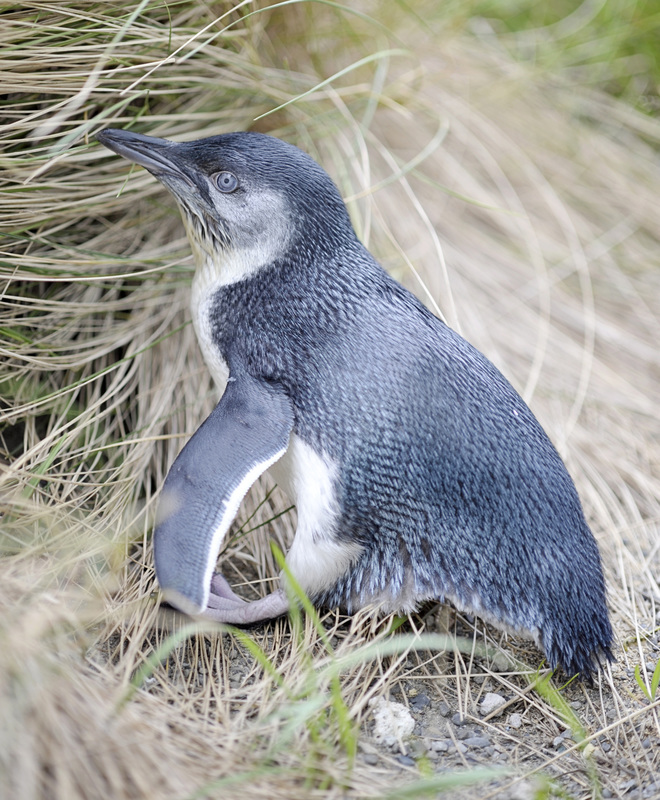 ​Once a common sight in the Marlborough Sounds, little blue penguins are now considered ‘at risk’ due to declining population numbers. Make sure to have a look in the sand traps for penguin footprints! 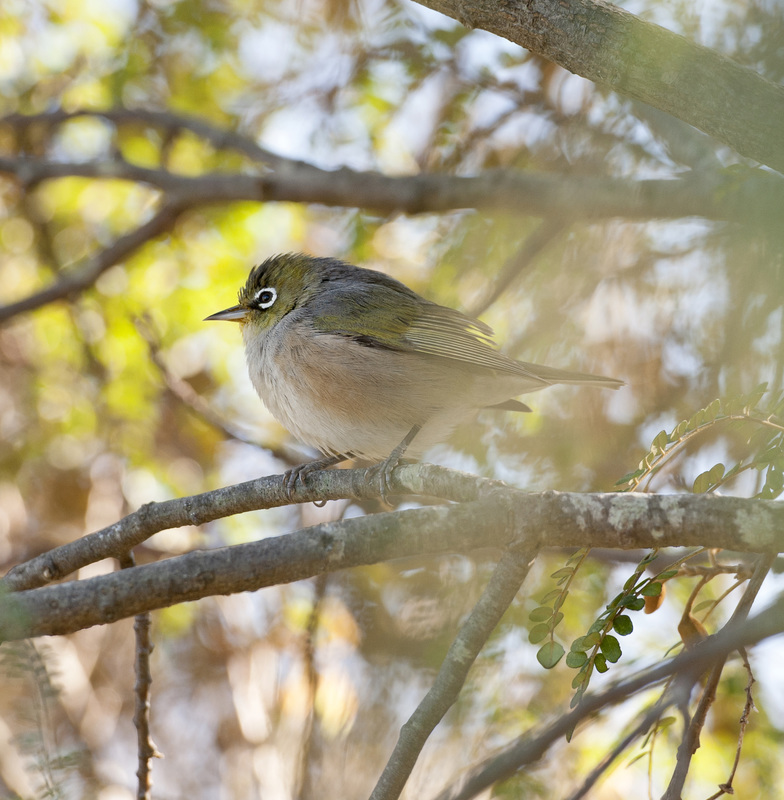 ​Known as ‘Tauhou’ meaning stranger in Māori, the silvereye was first seen in New Zealand around the 1830’s. Their success as a species is due to their varied diet of insects, fruit and nectar. 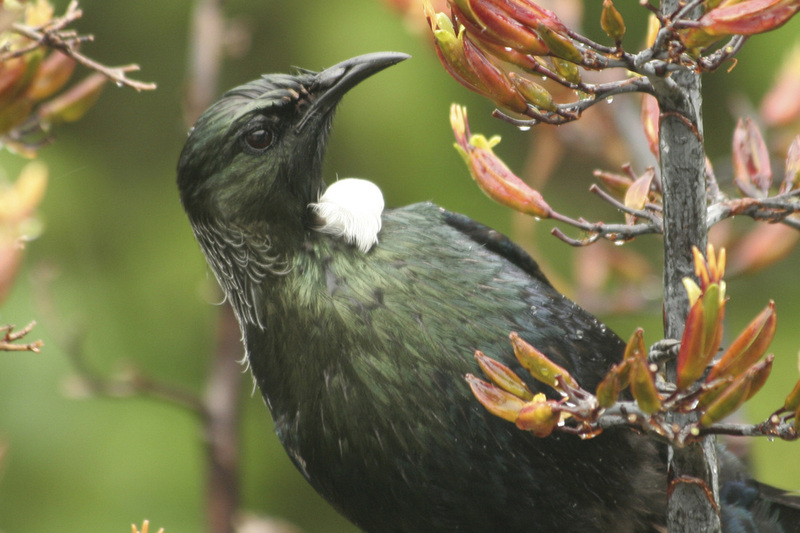 Adapted to hunt in dense New Zealand forests, kārearea predominantly eat live prey. They are often seen hunting small birds in dramatic chases. 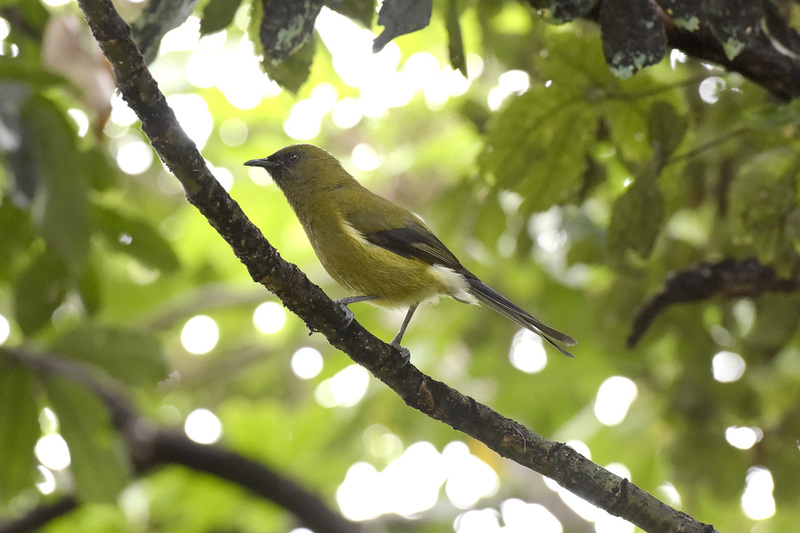 More often heard than seen, the Riroriro has a loud distinctive song. 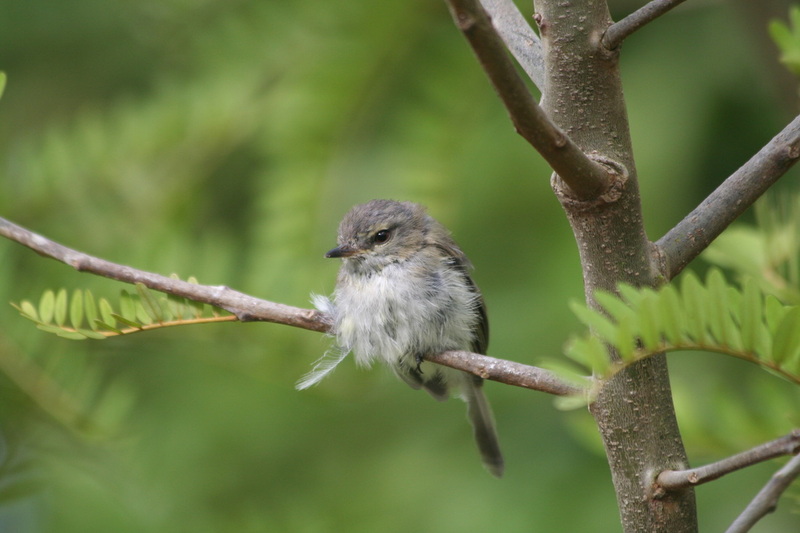 Weighing only six grams, it competes with the Rifleman for the title of New Zealands smallest bird. Image above is a juvenile.